Dr Francesco Granata, joined Circassia as Chairman on 1 September 2013. Francesco is senior advisor at Warburg Pincus International LLC. Prior to this he was Executive Vice President at Biogen Idec Inc., and before that he was Group Vice President and President responsible for Canada and major European markets at Schering-Plough Corporation. 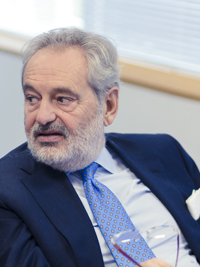 Previously, he served as Regional President for Northern Europe and also Middle East and Africa at Pfizer Inc., and as Managing Director of Pharmacia & Upjohn Inc. in Italy. He currently sits on a number of Boards and is a member of the strategic advisory committee at Lupin, a leading Indian global pharmaceutical company. Prior to his career in industry, Francesco practised as a medical doctor specialising in cardiology. He holds a degree in medicine and surgery from the University of Pavia, Italy, and was formerly a member of the Board of the European Federation of Pharmaceutical Industry Associations. 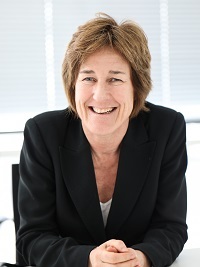 Jo Le Couilliard was appointed to the Board as an Independent Non-Executive Director on 8 February 2018. She was most recently Senior Vice President, Global Commercial Transformation at GlaxoSmithKline and brings significant commercial and international pharmaceutical industry experience to Circassia. She previously held a number of senior roles at GlaxoSmithKline, including Senior Vice President and Area Head, Asia Pacific and Senior Vice President, Corporate Development. Prior to this she was Chief Operating Officer at General Healthcare Group where she had operational responsibility for 49 private hospitals in the UK. She holds a Masters degree in Natural Sciences from the University of Cambridge. Russell Cummings joined Circassia as a Non-Executive Director on 25 January 2007. He was previously Chief Executive Officer of Imperial Innovations Group plc, having joined as Chief Investment Officer in 2006. From 2003 to 2006, he held roles at the growth equity and venture capital firm Scottish Equity Partners LLP, and prior to this spent 16 years at the international venture capital company 3i Group plc, latterly as a Director in its UK Technology Group. He holds a BSc (Eng) in Mechanical Engineering from Imperial College, London. Sharon Curran was appointed to the Board as an Independent Non-Executive Director on 8 February 2018. She was most recently Vice President, Global Specialty Franchise and Customer Excellence at Abbvie Inc., and brings extensive commercial and specialty pharmaceutical experience to the Company. She has held a number of senior roles during her career, including Vice President, Specialty, Global Marketing & Commercial Operations at Abbvie, Global Brand Director, Anesthesia at Abbott and Division Head, Ireland at Eli Lilly. She holds an Executive Master of Science, Business Administration from Trinity College Dublin and a Bachelor of Science in Biotechnology from Dublin City University. 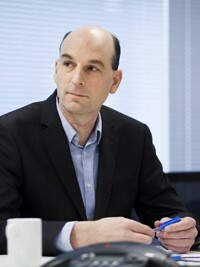 Steven Harris co-founded Circassia on 19 May 2006 and has led the Company as Chief Executive Officer since then. 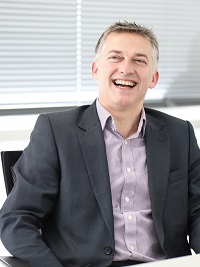 Steven has extensive experience of leading specialty pharmaceutical companies. Prior to co-founding Circassia, he was a founding member of the management team that grew Zeneus Pharma Limited into a successful specialty pharmaceutical company and managed its acquisition by Cephalon Inc. (now part of Teva Pharmaceutical Industries Limited). Prior to this he served for seven years as Chief Financial Officer of PowderJect Pharmaceuticals plc and was a key member of the management team which grew the organisation from a private biotechnology company to the world’s fifth largest vaccines business, before it was acquired by Chiron Corporation in 2003. He holds a BSc from Southampton University and is a Chartered Accountant and a member of the Institute of Chartered Accountants of England and Wales (ICAEW). Julien Cotta joined Circassia as Chief Financial Officer on 5 January 2012 and was appointed a Director on 26 November 2013. Julien has significant financial management experience in the healthcare industry. Prior to joining Circassia, he was Chief Financial Officer of the Finnish medical technology company, Inion Oy, and before this Group Financial Controller at Whatman plc (now part of GE Healthcare). Previously, he served as Vice President of Financial Accounting at Chiron Corporation and Group Financial Controller at PowderJect Pharmaceuticals plc (prior to its acquisition by Chiron in 2003). Before this he held senior financial management roles at Scotia Pharmaceuticals Limited, and Sanofi S.A., having begun his pharmaceutical career as a sales representative at Merck Sharpe & Dohme Corporation. He completed his accountancy training at Coopers & Lybrand (now PricewaterhouseCoopers LLP). Julien holds a BSc (Hons) in Pharmacology from University College London and is a Chartered Accountant and a member of the ICAEW. 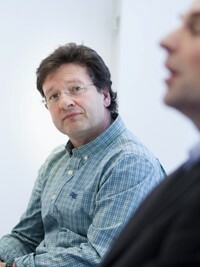 Dr Rod Hafner joined Circassia on 1 March 2007 and became Senior Vice President of Research & Development and a Director on 10 March 2008. Rod has many years of experience at a senior level in the life sciences industry and is a named inventor on numerous granted patents and patent applications. Before joining Circassia, he led the UK operating company of the Scandinavian drug delivery business, OptiNose AS (now OptiNose US Inc.) and prior to that was Director of Programme Management and Vice President of Research & Development Portfolio Management at PowderJect. Other roles have included Head of Project Management at Cortecs International Limited and positions at Wyeth Pharmaceuticals, Inc. (now Pfizer) and The Procter & Gamble Company. 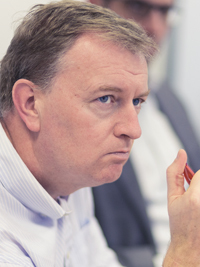 Rod has led Circassia’s research and development function since joining in 2007. He has a BSc (Hons) in Biochemistry from Edinburgh University and a PhD in Biochemistry from the University of Cambridge.